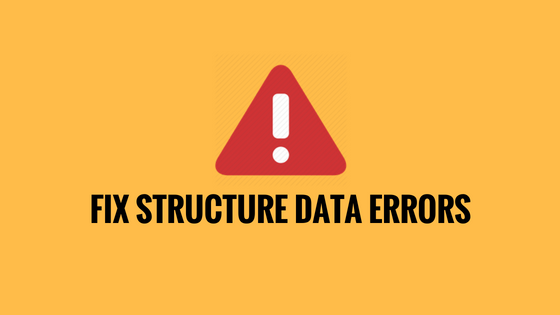 Fix All Hatom & Structured Data Errors in Blogger - XpertShout Yayın bulunmaktadır. Fix all hatom and structured data errors in Blogger. Are you having problem with hatom and structured data errors in Google Search Console? Most of the bloggers are facing hatom & structured data errors problems. These errors does not have any impact on blog's performance but these errors should not exist more in your blog to make a healthy site. Structured data is used to display the site in a better manner on major search engines result pages. You can check the hatom & structured data errors on your blog using Google webmasters tool called Structured Data Testing Tool. To fix all hatom & structured data errors in blogger, Just follow the below steps carefully. So, Dont waste your time and start to remove all hatom & structured data errors in blogger. The DateModified field is recommended. Please provide the value if available. The MainEntityOfPage field is recommended. Please provide the value if available. Go to Blogger Dashboard >> Template >> Edit HTML, before editing HTML don't forget to make a complete Backup of your Template. Click anywhere within the HTML code. Press Ctrl + F (Cmd + F on Mac), Search box will appear on the top right. Find the code given below and delete it completely. If the code appear 2 times in your template, delete it twice. Find the code given below. It may appear twice in your template. Now replace the above code with the one given below. (If above code appears twice then replace the above code with the one given below twice). Find the code given below. Now replace the above code with the one given below. Now replace this code with the code given below. Find the code given below. It will appear twice in your template. Replace the above code twice with the one provided below. Find the code given below. It may appear two or three times. If your template doesn't have the above code, find this one. Now copy the code given below and paste it just after the code you found. Now replace the code you found with the below one. Now again validate your site on Structured Data Testing Tool. Most probably it will not show any error now, but if the hatom & structured data errors still persist, comment and let us know. In search console Google will update data within 3 days. We will try our best to troubleshoot your problems.